The development of water policy is characterized by the involvement of many actors. These actors have different interests, knowledge, values, cultural backgrounds, perceptions and so on. Often, these differences result in policy controversies that interfere with the implementation of water policy. Controversies arise and are dealt with in multi-actor interactions. The communication of water managers directly influences the development of these controversies. However, the literature on environmental policy and governance does hardly address the dynamics that occur in the interactions between stakeholders. This paper gives insight into the communication strategies that water managers apply in conversations with other actors and how these strategies affect the course and outcome of an interaction. A case study reveals that the observed water managers use two different types of strategies to deal with different and incompatible views of their conversation partners: frame amplification and frame incorporation. The development and implementation of water policy involves the involvement of many actors. The need for collaboration is based on the notion that the resources, responsibilities and competencies for water management are scattered over a multitude of institutional layers and private actors (Rault, 2005). The collaboration between actors comprises the discussion of issues, the transformation of relationships and responsibilities, the connection of competences, the formation of networks and the development of a collective memory (Forester, 1999). During the collaboration, it is most likely that policy controversies arise, because of the many differences between the actors involved (Schön and Rein, 1994). Actors have different interests, knowledge, values, cultural backgrounds, perceptions and so on. As soon as actors start to communicate, these differences start to complexify their interaction. In this paper, we consider the policy implementation as an on-going negotiation process where actors negotiate alignments (Aarts and Leeuwis, 2010). This process shapes the development and implementation of policy. During their interactions, actors give rise to policy controversies and feed and settle them. As the initiator and owner of the policy process, a water manager has find a way to deal with the differences that drive the policy process. Issues are fragmented and sometimes conflicting, the roles and responsibilities of the participants are not clear, as is the policy process itself. Furthermore, the multi-actor interactions take place in different institutional contexts, which means that the social rules to deal with differences are not shared among the participants. Instead, the participant themselves co-develop their roles and the rules for engagement. This implies that the communication of a water manager matters. It can create or close spaces for change in the process. This paper aims to gain insight into the communication of a water manager as a representative of a public authority and how this affects the policy implementation. However, the literature on environmental policy and governance treats these interactions as black boxes. A common approach in this literature is to consider the policy process as a learning process, whereby actors fill in knowledge gaps (Agyris, 2003) and start a deliberation (Habermas, 1981) on conflicting societal values supported by effective means of communication (Newig, 2010). It remains unclear however, how such a learning process functions in the every day practice of environmental governance. By this study, we make a start to open up this black box in order to gain insight into the course and outcome of interactions. This involves a shift from a macro level that considers institutions and organisations towards a micro level that considers interacting individuals. The theory of interactional framing suits our aim. The framing concept ‘draws the attention to the concrete interactions where actors bring in their conceptions of problems and possible solutions, and how they affect each other’s frames in and through a developing relationship’ (Dewulf et al., 2005: p.117). According to Goffman (1974) people frame a situation when they answer the question: ‘What is it that is going on?’ Our interpretation of a situation is based on ‘principles of organization’. These are the principles we see at work, when we enter a situation. For instance, when we enter into a conversation we use social principles when we introduce ourselves to the conversation partners. Or we use linguistic principles when we want to make ourselves clear to the other conversation partners. These principles shape our actions; they ‘govern social events and our subjective involvement in them’ (Goffman, 1974: 10). The concepts of frame and framing have been applied by researchers in several fields including psychology (Levin et al., 1998), sociology (Benford and Snow, 2000), communication (Scheufele, 1999) and decision making (Schön and Rein, 1994). 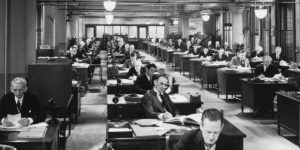 The concepts have enabled researchers to grasp differences in meaning between individuals, groups and organisations and to explain course and outcome of interactions on an individual and institutional level. The literature on framing can be divided in two strands (Dewulf, 2009). The strand of ‘cognitive framing’ considers frames as cognitive representations or mental structures that guide the actions of people. The source of the frames is between the ears. There is also a strand that considers framing as the continuous effort of interacting people to align their frames. Frames are interactional co-constructions that shape short term and long term situations. (Dewulf, 2009). The source of the frames is between the noses. Our conceptual model of interactions builds on this second strand of literature. Frames shape situations. This brings in a strategic element. ‘To frame is to select some aspects of a perceived reality and make them more salient in a communicating text in such a way as to promote a particular problem definition, causal interpretation, moral evaluation, and/or treatment’ (Entman, 1993: 52). Out of innumerable possible definitions, people choose specific descriptions in order to accomplish goals through interaction in a specific context (Van Lieshout and Aarts, 2008). These goals might be ‘goals in interaction’ such as the definition of a problem, its causes and accompanying solutions. People also use frames also to attain ‘interactional goals’, such as the acknowledgement of their identity by the other conversation partners. We regard the framing of people-in-interaction as a dynamic, iterative process. On the one hand, interactional frames shape situations. On the other hand, co-constructed situations shape the frames of the people in interaction (Aarts and Van Woerkum, 2006). 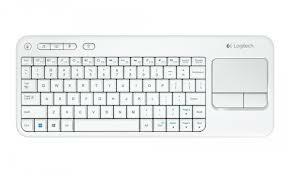 This creates a dynamic whereby people continuously (re)construct the content and process of their interaction. This approach stresses the discursive aspect of interaction. The communication of conversation partners highlights certain aspects and thereby indicates how a situation should be understood (Drake and Donohue, 1996). The interactional frames that people put forward function as communicative devices to negotiate meanings and alignments (Aarts et al, 2010). People use language to accomplish things. Interactional frames are actions that ‘shape how issues are keyed and what dimensions are channelled for discussion’ (Putnam and Holmer, 192: 147). In this way, conversation partners define and delimit the context for their interaction. So far, we have defined the concept of framing and now turn to the question: What’s getting framed?’. In line with Dewulf et al. (2009), we distinguish three general types of frames that enable to gain insight into the content of interactional frames. Firstly, we distinguish issue frames that aim to negotiate the meaning of issues in interactions. These frames define and delimit problem definitions and accompanying solutions Secondly, we distinguish relation and identity frames that aim to shape the relationship between conversation partners. Conversation partners use these frames for identity work. The frames can take the form of statements of one’s own identity (identity frame) or they can take the form of the identity of the other conversation partners (characterization frame). Both identification and characterization develop a certain relationships. Moreover, interlocutors can employ relation frames whereby they explicitly qualify their mutual relationship, for instance in terms of trust or power. Thirdly, we distinguish process frames by which people negotiate the meaning of their interaction, for instance as a dispute, as an effort for joint problem solving, or as an informal meeting. This conceptual distinction enables us to grasp the sense making of participants in an interaction. It helps us to identify what frames a water manager uses when he interacts with other stakeholders. In this paper, we focus on the interactions that take place in policy processes. In these interactions, the representative of a public authority has the interest to find support for the implementation of policy. This implies that he has to deal with the differences that arise in these interactions. In this paper, we consider the framing of the representative as an interaction strategy in order to deal with different, and often incompatible frames. While asking questions, making objections, or making jokes the representative co-defines the issues to be discussed, co-develops his relationship with the other participants and/or co-constructs the meaning of the interaction. This involves labour. Thus, we understand the framed categorizations, and thereby constructed similarities and differences with previous frames, as situated boundary work (Horton-Salway, 2001). We express the agency of a frame with the concept alignment, that we define here as the discursive labour of a frame on a previous and incompatible frame. Examples of such strategies are: the incorporation of a previous frame, the ignorance of a previous frame or the accommodating to a previous frame. In this manner, we can use the concept of alignment as a suitable indicator to gain insight into the way a representative of a public authority deals with differences in particular interactions. The research on interactional framing is primarily aimed to study interaction patterns and how these patterns raise, persist, or reduce conflicts (Van Lieshout, 2008; Idrissou, 2011). This study brings the research on frame differences a step further by developing a typology of alignments and using this typology to interpret the communication of a representative of a public authority and how this affects the interaction. We characterize alignments by the extent in which they are sensitive to previous and incompatible frames. Benford and Snow (2000), who study the development of collective action frames of social movements, argue that frames are created by two basic interactive, discursive processes. The first is frame articulation. This involves ‘the connection and alignment of events and experiences, so that they hang together in a relatively unified and compelling fashion’ (Benford and Snow, 2000: p.623). The second is frame punctuation. This involves ‘accenting and highlighting some issues, events, or beliefs as being more salient then others’ (ibid). Both articulation and punctuation are ways to deal with differences. They differ in the sensitivity for differences. High sensitiveness creates a connection between two incompatible frames. As such, the framed differences can become part of the interaction. Instead, low sensitiveness leads to the disconnection between two incompatible frames. We performed a case study to find out whether the sensitivity of alignments makes sense as an indicator for the communication of a representative of a public authority and as an explanation for the effect of this communication. The central research question in this paper is: what are the frame alignments of a water manager-in-interaction and what is the effect on the course and outcome of the interaction? Our aim is to gain insight into the way a water manager makes sense of these interactions and how this affects the course and outcome. In order to answer this question we performed a case study in The Netherlands. In this case we observed the interactions of a project manager of a water board, a regional water authority responsible for both water quantity and water quality management. This project manager is responsible for the realization of a ‘high water zone’ around a village in a polder area. This measure is one of the outcomes of an interactive policy process, described by Lamers et al., (2010). The high water zone enables the water board to lower the water level in the polder area without damaging the houses in the village. The dams prevent the decrease of the ground water level underneath the buildings in the village. Otherwise, there is a risk of serious damage to the older buildings in the village that are built on wooden piles. Once the piles come above the ground water level, they start to rotten and this causes the buildings to subside, or even to collapse. However, this threat only counts for the older buildings in the village. The more recent buildings are built on concrete piles. The zone is created by the construction of dams in watercourses on the properties that lie at the border of the village. The decision of the water board to lower the water level is necessary to maintain a dry zone in the peat soil of the polder area between the ground water level and the surface level. The peat soil continuously settles down, which causes a decrease of the yield of the farming land in the polder area. The challenge of the project manager is to find support by property owners (both farmers and private house owners) to construct dams on their properties. The project manager brings in colleagues and a consultancy bureau to support him in the negotiations with the farmers and private persons. Our case study is a type of discourse analysis, or the close study of language in use (Wetherell, 2001). We analyzed two negotiations. The first one between the project manager who is accompanied by a colleague and a farmer. The second one between a consultant (representing the water board) and a house owner. In these negotiations, both the farmer and the house owner mention their difficulties with the construction of dams on their property, which is incompatible with the framing of the representatives of the water board. We performed a comparative analysis to interpret the frame alignments of the water managers and to compare the effects of these frame alignments on the course and outcome of the interaction. We focussed our analysis on pieces of the interaction, where the stakeholders mention their difficulties. Then we identified for each utterance the frames that the speaker puts forward: an issues frame, an identity frame and/or a process frame. Consequently, we analysed the function of the frame by relating it to previous frames. Next, we indicated the type of alignment and finally we studied the effect of these frame alignments on the subsequent framing by both conversation partners. Our interpretation of the frames, is based on six semi-structured interviews: with the project manager, with his colleagues, with a farmer and a house owner. The observed interactions and interviews were audio-taped and transcribed. Also, we had informal talk with the three representatives of the water board we followed in the negotiations. The internal validity of our claims is enhanced by their plausibility for the development and outcome of the negotiation processes. Moreover, our findings have been discussed with and were recognized by the project manager. This internal validity is sufficient for our aim to gain insight into the processes by which a water manager creates and represents his frames and how this affects the interaction in a unique case. In the case study, we found that the water managers in both negotiations used different types of frame alignment: frame incorporation and frame amplification. In the sections below, we argue for these findings. Thereby, we use two illustrative and symptomatic fragments. The first fragment illustrates how the project manager (P) extents his frame, and thereby incorporates the frames of a farmer (F). In this fragment, also a colleague (C) participates in the discussion. 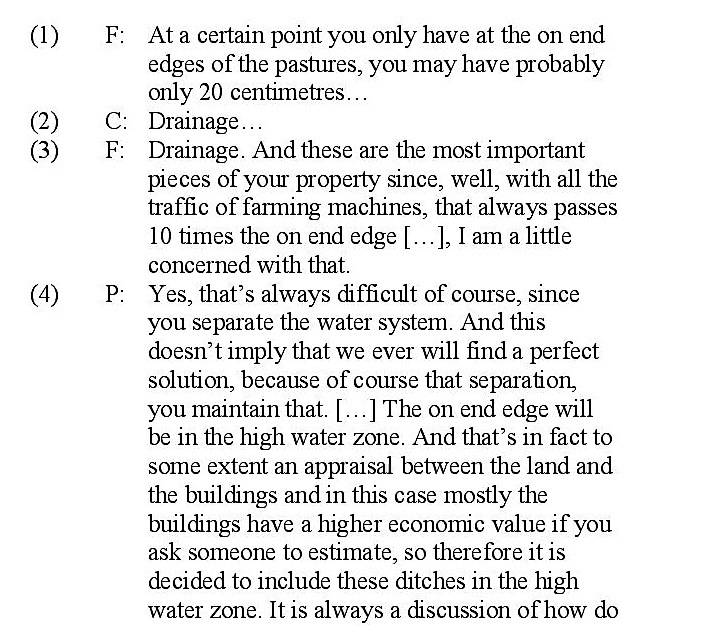 The fragment starts with F, who explains his concern with the planned dam on his property. Then, we see that P en F jointly reframe this issue, careful but determined. They bring forward alternative frames, that construct the issue as an unpleasant but insurmountable side-effect of a necessary action for the higher, that is public good. We start our argument by an analysis of how P and C manage to reframe the issue brought forward by F. Subsequently, we proceed our argument by an examination of how P and C extend the alignment of their issue frame by the construction of the identities of both themselves and of their conversation partner. In (1) and (3) we see that F puts forward his problem. He fears that the dams on his property will raise the ground water level in the access area of his pasture. In their response, both C and P make clear that they recognize the concern of F. In (2) C supplements the utterance of F and thereby signals that he understands the issue. Besides, P confirms in (4) the difficulty of the matter at the start of his response. The recognition is the first stage of their alignment with the issue frame of F and creates a common point of departure for the interaction that follows. In (4) P continues the reframing by managing the expectations of F: “This doesn’t imply that we ever find a perfect solution”. This is the second stage of the frame alignment. In this utterance P makes clear to F that he intends to hold on to the realization of the high water zone in this village, despite unpleasant and prohibitive side-effects. In this way, P reframes the issue of F without discrediting the seriousness of this issue. It is interesting to pay some attention to the way P introduces his point of view. As we have seen above, P started in (4) to confirm the difficulty of the matter. However, P did not specify the difficulty. In his utterance, he copies the word “always” which F might give the impression that P confirms the difficulty of his issue. However, a closer look learns that P relates the difficulty to another issue, i.e. the separation of the water system. According to P, the primary issue is not that the edges of the pastures become wet. Instead, the issue is to realize the high water zone, despite negative side-effects such as the effect on the drainage of the edges of the pastures within the high water zone. This is a typical water management issue. P cannot agree with the issue as framed by F, since the logical solution of this issue is to abandon the intended construction of a dam on the property of F. The very reason for this interaction is to find support for this dam. Thus, P bridges his different and incompatible issue frame by taking over the notion of the ‘difficulty’ of the matter. In conformity with F, P makes this ‘difficulty’ also his personal concern when he says: “since you separate the water system.” He thereby equals the personal involvement to solve the issue. Then, P turns his attention to solve the incompatibility of their frames. In the third stage of the frame incorporation, P elaborates the legitimacy of his issue frame over the issue frame of F. In (4), he involves F in the decision making process of the water board. He frames the consideration between the advantage of the high water zone for the buildings and the disadvantage for the farming land. In this way, P connects the private problem of the farmer to a public assessment framework. 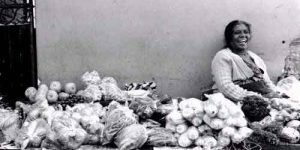 P chooses thereby for an economic ‘principle of organization’ (Goffman, 1974). The (intangible) benefit of the high water zone to prevent damage to the buildings in the villages outweighs the costs of the damage to the on end edges of farming land. The wording of P subtly underlines the legitimacy of this argumentation. P says: “If you ask someone to estimate” (4). In this remark P introduces a neutral party who confirms his statement. Furthermore, P says: “Therefore, it is decided to” (4). In this remark P does not specify the decision-maker, to underscore that the application of the economic criterion is universal and therefore self-evident. P and C accompany the frame incorporation in (2) to (4), with identity frames and characterization frames. In the analysis below, we distinguish the identities and characterizations they use to support their frame of the issue, and which they use to support their discussion. When P develops the public assessment framework, he thereby puts forward the identity of the water board as a transparent and accountable decision maker and as such has to make appraisals in complex situations. P introduces the water board as a third party at the background of the discussion. Later on, we see how P uses this separation between himself and the water board to extent his frames beyond the frames of F. When P stages the water board, he also constructs an identity to F. This is the identity of a good citizen, who understands that the public return in terms of the prevented damage to the buildings in the high water zone, outweighs the costs of individuals. 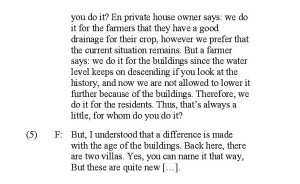 This characterization matches the issue ‘to maintain the separation of the water system’ as framed by P. F is linguistically pulled out of his role as a concerned farmer, the identity he put forward in (1) and (3). Then, P proceeds the characterization of the farmer F as a stakeholder, who benefits from the lowering of the drainage level by an increase of the yield of his land in the polder area. He says in (4): “…a private house owner says, we do it for the farmers…” The message is that as a farmer, he has to take into account the benefits when he considers the costs of the high water zone. P mentions this characterization indirectly, since he presents these house owners in his reply. The included voices of this fourth party, underscore the validity of the characterization of the farmer F as a stakeholder. When P puts farmers and private house owners on stage, he constructs the identity of the water board as a spectator of their struggle. With that, he shifts the responsibility for the decision to create a high water zone to the ‘real’ problem owners. In his rhetorical question “for whom do you do it?” (4), P already indicates the problem ownership. By this question, he pictures a relationship between problem owners and problem solvers. In other words, by making a decision the water board has solved the problems of both farmers and private house owners. Then it is not fair to hold the water board responsible for the negative side effects of the high water zone. In fact, P refers F here to the private house-owners to discuss his issue. In addition of the analysis above, we find that P develops identities and characterizations that support their discussion. This already starts with the short supplement of C to the introduction of the issue by F. The word “drainage” in (2) does not only functions as a part of a problem description. More importantly, it constructs the identity of an understanding and helpful listener, who takes the concerns of F seriously. This is a functional identity, when a frame needs to be fit in a larger frame. P develops in (4) the identity of an accessible discussion partner, who shares his considerations and dilemmas. In this way, F can identify himself with P as someone who is concerned. When P asks the rhetorical question: “How do you do it?” (4), he constructs himself as an executor of the decision of the water board. This question also characterizes F as an emphatic conversation partner who is able to consider an alternative point of view. However, P does not tie himself up with this willing and reasonable identity. He also puts himself forward as a dyed-in-the-wool project manager, who is acquainted with the strategies of stakeholders by which they try to push away their responsibility. In this way, P discourages F identify himself as a victim; an identity that F easily can elaborate from the identity of a concerned farmer. Our final step in the analysis of this fragment is to consider the effect of the frame incorporation. 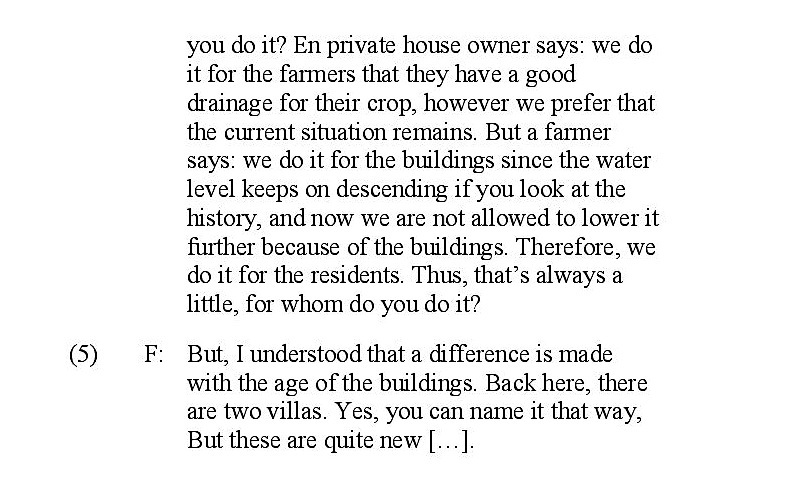 Does P succeed to persuade F in this way to agree with the construction of a dam on his property? Again, we discuss issue frames and identity frames. In his response in (5) we find that F appeals to a rule of exception. This implies that he confirms the general rule of the realization of the high water zone. In other words, F indirectly acknowledges the frames of P where the zone is in the public interest and in his benefit. These frames discourage F to identify himself as a victim of the initiative of the water board. As a victim, F could easily ignore the request of the water board to construct a dam on his property. Here we find that frames shape what action should be taken by whom (Gray, 2003). P has succeeded to start negotiations with F on the realization of the dam. The framing of P has influenced the framing of F.
The consultant in the second negotiation uses another type of frame alignment that we identify as frame amplification. Just like the previous fragment, the consultant (R) has to overcome an objection against the realization of a dam on private property, in this case the property of a house-owner (H). We see that R responds by amplifying his own framework of reference for the issue addressed by the house-owner. This causes an alienation between the participants, which is exemplified in the fragment below. We start our argument by an analysis of how R contrasts his issue frames with that of H. We proceed by an examination of how R aligns his identity to the identity of his conversation partner. The fragment starts when H carefully formulates his problem with the planned dam. 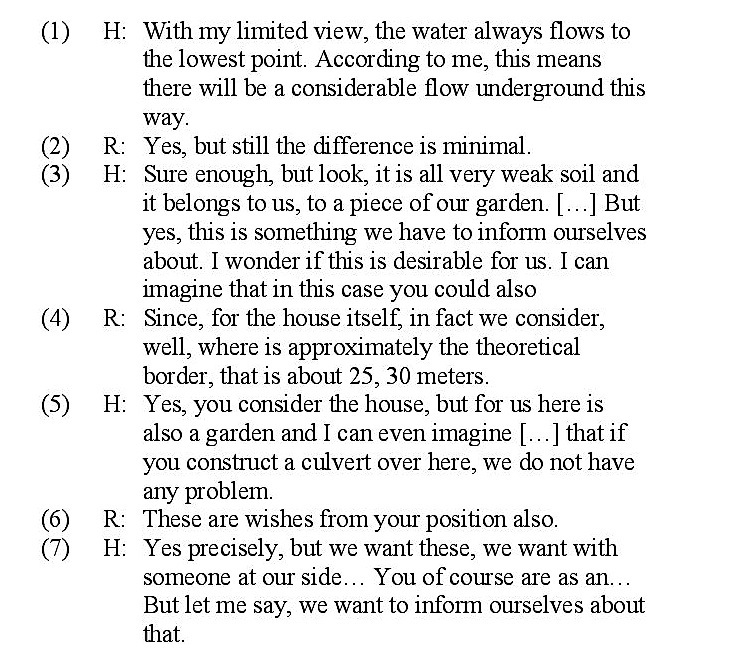 In his view, the measures of the water board on his property will cause “a considerable flow underground” (1). Then, R extracts this strip of talk (Goffman, 1974) as the cue for his response: “…the difference is still minimal”. Here R refers to a difference in the water level as a result of the dam that the water board has planned to realize in the water course on the property of H. According to R, the height of the difference determines the ground water flow. Since the difference will be small, also the flow will be minimal. Thus, R brings forward in (2) an alternative frame, by which he reasons away the issue of H. R already announces the frame amplification when he says: “Yes, but…” However, H is not satisfied with the response and does a new attempt to clarify his concern for the stability of his garden. H copies the frame amplification in (2) that he introduces with: “sure enough” (3). In (4) again R reasons away the concern of H for his garden. He points to a principle used by the water board to determine the minimal distance between a house and a dam. This distance is necessary to prevent a lowering of the groundwater level beneath the house and thereby possible damage. In (5) H names the frame amplification, when he mentions their different points of view. In this way, he brings their discussion of the issue to the discussion. This intervention invites R to discuss the differences, instead of maintaining his framing of the problem at hand. Thereby, H proposes a solution, i.e. the construction of a culvert. However, for the third time in this fragment, R does not go into the issue frame of H. This is a clear case of frame amplification. In the analysis of the identity and characterization frames, we distinguish between the identities and characterizations that relate to the issue and those that that relate to the discussion of the issue. A characteristic difference with the water managers in the first fragment, is that R limits himself to the discussion of the issue. Even though R does not bring up identities, he does align himself to his conversation partner. In this fragment, R presents himself in the discussion as an expert. As such, he relies on the legitimacy of his understanding of the water system. 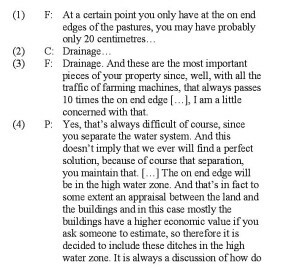 This becomes clear in the casualness by which he applies expert knowledge to the situation: the minimal difference of the water level (2) and the minimal distance from the planned dam to the house (4). 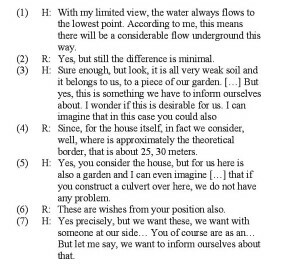 Notably, during the whole negotiation, R uses expert language to explain the necessity of the high water zone and the functioning of the planned dam. The presumed legitimacy of his expert knowledge also becomes clear by the authority of his responses in which he reasons away the concerns of H. His undertone seems to be: I know it (better). In contrast with R, H constructs his identity explicitly and speaks in the first person. In (1) he identifies himself as a modest layman, when he says: “With my limited view…” Possibly, this confirms R in (2) in his role as expert. However, when R reasons his concern away, H chooses a counter position as a future informed stakeholder. The fact that H in this matter identifies himself as a layman, does not mean that he has not an interest. H strengthens his position further when he constructs a we-group with his partner who also participates in this negotiation. Then, H couples his identity frame with a process frame, i.e. to appeal to a third party. This process frame also strengthens his position, since this frame attributes the power to H to decide when and how the negotiation will proceed. Now, H has taken over the control of the negotiation which is acknowledged by R in (6), where he confirms that H has an own position. Then, in (7) H uses the snatched control to characterize R as another stakeholder. With that, he renders harmless the casualty and authority of the expertise of R.
In correspondence with F in the first fragment, H identifies himself as a concerned house-owner. His concern is that his garden will become swampy when the planned dam is realized. The colourful words in his issue frame underline his concern: ‘considerable flow underground’ (1), and ‘it is all very weak soil’ (3). These descriptions refer to the vulnerability of his property. In contrast, F leaves out any personal of professional involvement in his issue frame. Our analysis of this fragment, shows that H amplifies his frames. In each turn, H puts his own frames forward, without acknowledging the frames of his conversation partners. We distinguish three coherent characteristics of his communication. Firstly, that he concentrates on the framing of the issue, whereby he draws from his expertise on the water system. Secondly, that he ignores the concern of his conversation partner. His frames leave out any personal or professional relation with the issue. In this way, he constructs an objective expert identity. Thirdly, that he ignores to frame the process to discuss the realization of the dam. Implicitly, H constructs the interaction as an instruction, in which a knowledge-owner explains something to a knowledge-asker. Instead, R frames the process as a negotiation between informed stakeholders who are dependent on each other to realize their aims. In sum, the alignment of H ignores the differences with the framing of R. This is a form of frame amplification. Does R succeed to persuade H to approve for the construction of a dam on his property? Clearly not. The frame amplification by R, calls up frame amplification by H. The result is that the identity and characterization frames and the process frames deactivate the issue frames of R. The mutually developed expert – layman relationship in (1) and (2) creates an imbalance of power between the two participants. This relationship can only work under the condition that R is able to build trust, so that H is willing to accept his expert assurance that the dam will have no negative effects. However, R does the opposite when he takes his own expertise for granted and ignores the concern of H. Thereupon H corrects the imbalance when he proposes to appeal to his own expert in (4) and (7) and when he characterizes R as a pursuer of his interest in (7). Thus, R does not succeed to find support for the realization of the dams on the property of H. although probably the judgement of R is right. Moreover, at least one new round of talks seems necessary to find support. However, in the next round R will not meet a concerned property owner, but a sceptical and informed stakeholder. In both negotiations the representatives of the water board had to deal with an incompatible frame. We found that the observed representatives of the water board aligned differently: either by frame amplification or by frame articulation. Frame amplification stresses the own representations and marginalizes the representations of the other. The observed water manager took his own definition of the issue at stake and his own expert identity for granted. Therefore he failed to connect the incompatible frames. Morgan (1997) addresses this effect, when he contends that self-reference hinders organizations to detect and respond adequately to developments in the environment. However, all communication is to an extent self-referring. Weick (1995) stresses that self-reference is essential for sense-making, since it enables us to generate tangible outcomes that help us discover what is going on. The point here is that apparently conversation partners can construct their identity in such a narrow way, that they become insensitive for responses that are out-of-frame (Goffman, 1974). This will hamper the connection between two incompatible frames and will stimulate separation and alienation. However, sensitive communication is not simple. Often, a certain identity has proven to be successful in the past (Morgan, 1997). And an identity can still be successful in the present, in other interactions. For example in discussions with peers. Besides, a broad or multiple identity creates ambiguity and it becomes harder for people to decide how to deal with a situation. Frame incorporation seems an effective strategy to connect conflicting aims. We identified in our case three stages of incorporation: recognition, management of expectations, elaboration of the legitimacy of the extended frame. The difference with frame amplification is that the incorporation of a frame includes rather then excludes the frames of another participant. Sensitivity recognizes and develops the relationship between the participants. This results in our case study that the project manager succeeds to create a space for negotiation. Clearly, the frames of the consultant lack sensitivity. In sum, the (lack of) sensitivity gives a plausible explanation for the difference in the outcome of both interactions and is therefore a relevant distinction to gain insight into the dynamics of interactions. Aarts, N. and Van Woerkum, C. (2006). Frame construction in interaction. In: N. Gould (Ed). Engagement. Proceedings of the 12th MOPAN International Conference. pp. 229-238. Pontypridd, UK: University of Glamorgan. Aarts, N. and Leeuwis, C. (2010). Participation and power in natural resource management and rural development: reflections on the role of government. The Journal of Agricultural Education and Extension 16: pp. 131-145. Argyris, C. (2003). A life full of learning. Organization Studies 24: pp. 1178–1192. Benford, R.D. & Snow, D.A. (2000). Framing processes and social movements: An overview and assessment. Annual Review of Sociolog. 26: pp. 611–639. Dewulf A, Gray B, Putnam L, Lewicki R, Aarts N, Bouwen R and Van Woerkum C. (2009). Disentangling approaches to framing in conflict and negotiation research: A meta-paradigmatic perspective. Human Relations 62(2): pp. 155–193. Dewulf, A., Craps M, Bouwen R, Taillieu T and Pahl-Wostl C. (2005). Integrated management of natural resources: dealing with ambiguous issues, multiple actors and diverging frames. Water Science and Technology 52(6): pp. 115-124. Drake, L.D. & Donohue, W.A. (1996). Communicative framing theory in conﬂict resolution. Communication Research 23: pp. 297–322. Entman, R. (1993). Towards clarification of a fractured paradigm. Journal of Communication 43: pp. 51-58. Forester, J. (1999). The Deliberative Practitioner. Encouraging Participatory Planning. Cambridge: Massachusets Institute of Technology. Gray, F. (2003a). Framing of Environmental Disputes. In: Lewicki, R, Gray, F, and Elliott, M. (eds). Making Sense of Intractable Environmental Conflicts.Concepts and Cases. pp. 11-34. Island Press: Washington. Goffman, E. (1974). Frame Analysis. 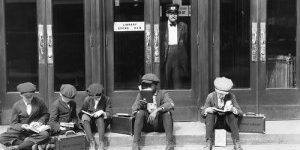 An Essay on the Organization of Experience. London: Harper and Row. Habermas, J. 1981. The theory of communicative action: reason and the rationalization of society. Volume 1. Beacon, Boston, Massachussets, USA. Horton-Salway, Mary (2001). Narrative Identities and the management of personal accountability in Talk about ME: A discursive approach to illness narrative. Journal of Health Psychology 6(2): pp. 247–259. Idrissou, L., Aarts N, Van Paassen A and Leeuwis C. (2011). The Discursive Construction of Conflict in Participatory Forest Management: The Case of the Agoua Forest Restoration in Benin. Conservation and Society 9(2): pp. 119-131. Levin, I.P., Schneider, S.L. & Gaeth, G. (1998). All frames are not created equal: A typology and critical analysis of framing effects. Organizational Behavior and Human Decision Processes 76: pp 149–88. Newig, J., Gunther D and Pahl-Wostl C. (2010). Synapses in the Network: Learning in Governance Networks in the Context of Environmental Management. Ecology and Society 15(4): pp. 24. 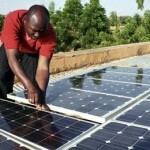 [online] URL: http://www.ecologyandsociety.org/vol15/iss4/art24/. Pahl-Wostl, Kabat, C. H. and Möltgen, J. (2007). Adaptive and Integrated Water Management, New York: Springer. Putnam, L. and Wondelleck, J.M. (2003). Intractability: Definitions, Dimensions, and Distinctions. In: Lewicki, R, Gray, F, and Elliott, M. (eds). Making Sense of Intractable Environmental Conflicts: Concepts and Cases. pp. 35-59. Washington, DC: Island Press. Rault, K. (2008). Public participation in Integrated Water Management. A Wicked Process for a Complex Societal Problem. Cranfield University. Reed, M. (2008). Stakeholder participation for environmental management: a literature review. Biological Conservation 141: pp. 2417-2431. Schön, D.A., and M. Rein. (1994). Frame Reflection. Toward the Resolution of Intractable Policy Controversies. New York: Basic Books. Van Lieshout, M. and N. Aarts. (2008). Youth and immigrants’ perspectives on public spaces. Space and Culture 11(4): pp. 497-513. Wetherell, M, Taylor, S, & Yates, S. J. (Eds). (2001). 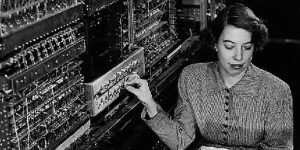 Discourse as Data: A Guide for Analysis, London: Sage.